Within the South African business environment, there is still a large emphasis on sustainable economic solutions aimed at economic stimulation and solutions that will ultimately create meaningful and sustainable jobs, with the objective of poverty elevation. These solutions come in the form of the popular BBBEE concept as thought out and clearly defined by the DTI, as well as Enterprise Development. South African organizations are then encouraged to diversify incurred spend with major suppliers, and divert a portion of this spend with small- and medium sized enterprises. These enterprises should preferably be black owned or black female owned. Often, organizations that do not have the minimum documentation in place consider this as a cost burden that has to be incurred. In actual fact, this is more of an opportunity cost that determines whether large corporates would deal with these small to medium enterprises or not. Reality is, large organizations have legislative requirements that need to be adhered to. Overtime, procurement professionals have consistently observed that small supplying businesses lack the professional approach and business conduct pertinent to successfully meeting, presenting and pitching business ideas to procurement professionals. Owners of SMMEs often fail to follow through on commitments made on initial meetings, which obviously dents the credibility to supply from the onset. Small businesses tend be overzealous (by wanting to be the supplier of everything and the immediate supplier of choice), which can lead an entitlement perspective to be borne by some of these SMMEs. Small businesses do not seem to appreciate the sense of urgency and reliable source of supply that large organizations needs. The inability to manage expectations and the failure to timeously deliver results to buying organizations having to delay achieving their functional goals. This leads to financial and associated losses. Ultimately, this can lead large corporations to cease to buy from small businesses. Small businesses often lack robust follow-up strategies aimed at rectifying defaulted delivery and performance issues but expect large organizations to typically understand. This behavior perpetuates the perception that small businesses do not take large organizations or global corporations seriously. Functional skills to effectively run a business is one of the most glaring challenges, as individuals generally tend to open businesses without comprehensively considering all contributing variables that affect business performance. It is taught in all business planning methods and tools that it is almost never possible to break even within the first 12 or 24 months. The observed conduct of SMMEs however contradicts this view. SMMEs tend to want to make profit from the first month of operation, let alone a client in their books. It must also be kept in mind that when starting out, credibility and establishing a track record far supersedes the invoice amount that the client will eventually pay. It is far more important to invest all resources (money included) and work very hard to convince the prospective client that the SMME is equally capable (if not exceedingly capable) of delivering the work that large and proven corporations can deliver. This will build credibility and trust that will lead to repeat business with the current client, and will also become a reference to other organizations as delivery track record has been established and maintained. With the right context, contacts and all documentation in place; together with a realistic expectations, small businesses can make a success in the large corporation space if expectations are carefully aligned and SMMEs are prepared to work excessively hard in the beginning for what may be lower payment. This is the single most important long term investment that yields in sustainable long term gains. 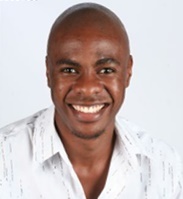 Mark Nwaila is an experienced Procurement Professional with a passion for development. With procurement having been his sheer passion and his day-to-day function for almost a decade, the application of its sound principles has been extended to effectively integrating small enterprises into the end-to-end supply chains thus enabling them to actively partake in the South African economy. For Mark, it’s all about continuous improvement and bringing forth solutions to those entities that will result in effective Enterprise Development. At the heart of it all, it’s all about making a difference in people’s lives, young & old! Mark has worked in the procurement department of large companies such as ABSA, South African Breweries and Sasol. He is an Advanced CIPS Practitioner and holds various qualifications including an honours in Industrial Engineering from Wits University.